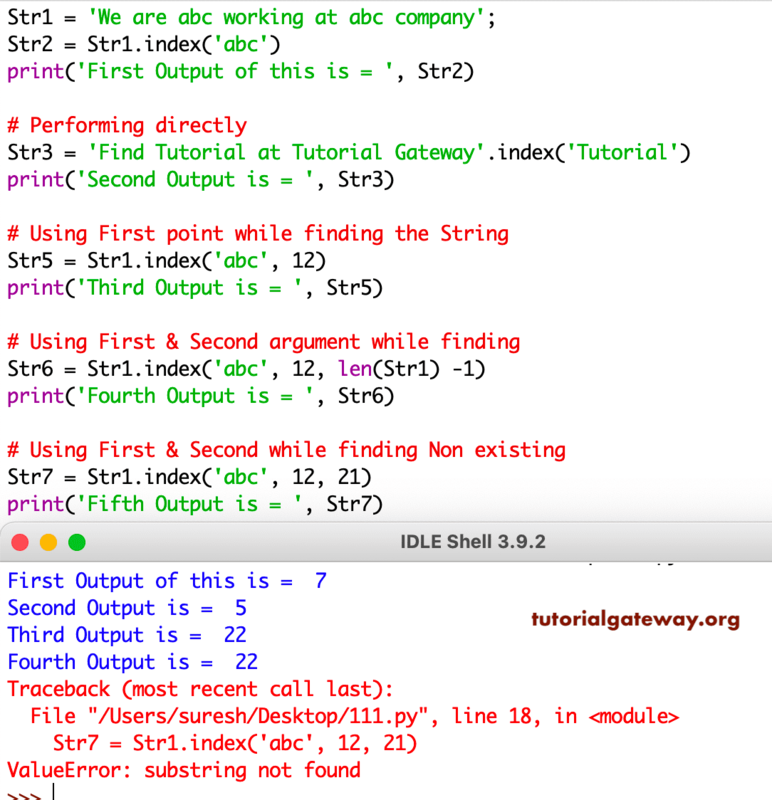 Python Index method is one of the Python String Method which is used to return the index position of the first occurrence of a specified string. It will return ValueError, if the specified string is not found. In this article we will show you, How to write Index() Function in Python Programming with example. TIP: The index position in Python Index() Function will start from 0, Not 1. Starting_Position: This is an optional parameter. If you want to specify the staring point (starting index position) then, Please specify the index value here. If you Omit this parameter then, Index() Function will consider Zero as starting position. The following set of examples will help you understand the Index() Function in Python. Following statement is returning Value Error because, Index() function will start looking from 12 (means first abc is skipped) and end at index position 21. As we all know second abc is at position 22.